After getting huge success to Motorola with Moto G 1st Gen and 2nd Gen, Motorola has launched Moto G 3rd Gen and it is better then its previous versions. The new Moto G (3rd Gen) comes with two different variants, which one comes with 8GB internal storage and 1GB RAM is available at Rs 11,999, while 16GB internal storage and 2GB RAM is available at Rs 12,999. It is exclusively available on Flipkart. The new Moto G (3rd Gen) has IPX7- rated water protection, which protects your cell phone from splashes and accidental drops in water. Moto G (3rd Gen) has got 5 inch HD display and having resolution of 1280 x 720 Pixels. It also has Corning Gorilla Glass 3, which protects the display from scratches and accidental scrapes. The new Moto G (3rd Gen) has got better processor and Operating System then previous versions. 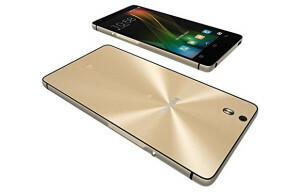 It includes powerful 1.4 GHz Quad-core Qualcomm Snapdragon 410 processor and Adreno 306 with 400 MHz GPU. 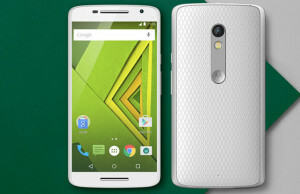 Moto G (3rd Gen) runs on latest operating system, Android v5.1.1 (Lollipop). As I said above the new Moto G (3rd Gen) comes with two different variants. First variant has 1GB of RAM and 8GB internal storage, while the second variant has 2GB of RAM and 16GB internal storage. You can also be able to expand storage upto 32GB with using of microSD card. Motorola has also improved camera features in Moto G (3rd Gen). It features a 13MP rear camera with dual LED flash and HDR, so you can get nice quality of pictures in even low light conditions. Front facing camera is 5MP with a 72 degrees wide angle lens. The new Moto G (3rd Gen) comes with 4G LTE, which is not in the previous versions of Moto G. It has 3g, 4G, Bluetooth, Wifi, USB, Wi-fi Hotspot etc. connectivity features are available. Motorola has included 2470 mAh battery in Moto G (3rd Gen), which is better than older versions of Moto G.
Moto G (3rd Gen) is the best option for those who have a budget under Rs 15,000. At this price range you will get 4G smartphone with dual SIM slot, Water resistant, Corning Gorilla Glass 3 for display protection, expandable memory upto 32GB, 13MP rear camera, 5MP front camera and much more. Most of the people go for the 16GB variant because of it is available at Rs 12,999, while 8GB variant available at Rs 11,999. At the difference of Rs 1,000 you will get better storage. After going through this post you may be able to decide, whether you have to buy it or not?